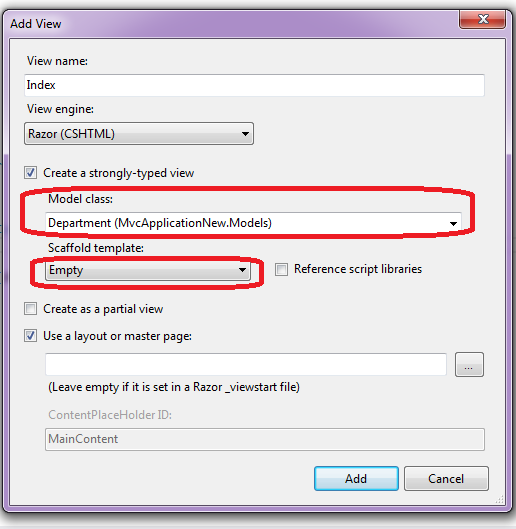 In the previous article I have explained Code First migration in asp.net MVC 4, Create, Read, Update and Delete in Asp.net with MVC 4 Razor view Engine using Entity framework with Code first approach, What is Scaffolding in Asp.net MVC? 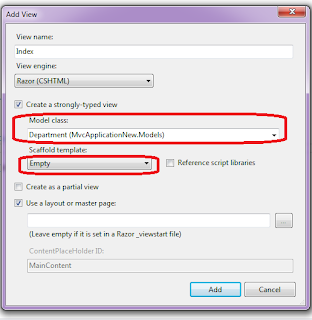 and What is Asp.net MVC? Its advantages and disadvantges. ProjectContext is the DbContext of project. Build the project and run. Hey! Can you upload this code please?